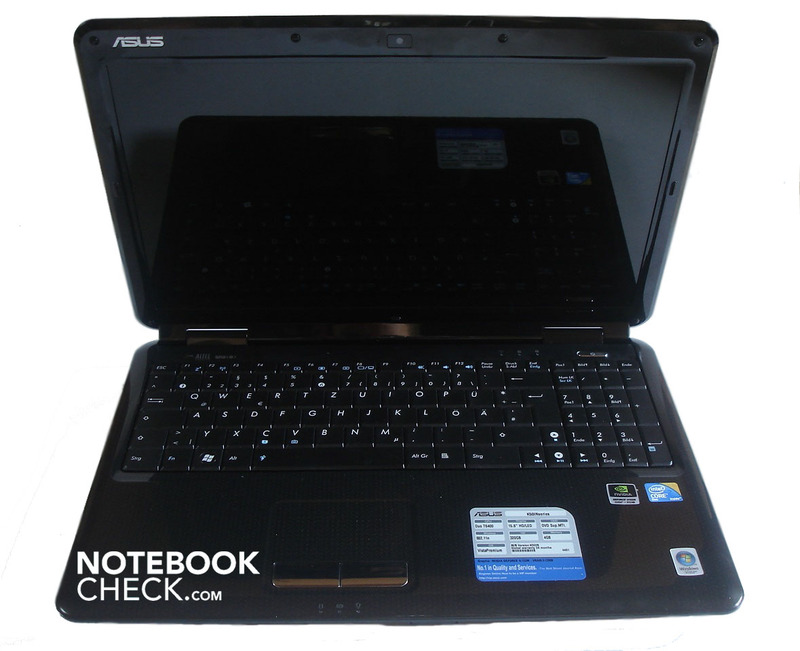 With the K50IN, Asus has a 15.6-inch all-round notebook on offer, which rises in search of customers with a Core 2 Duo T6400, an integrated Nvidia G 102M and a moderate price of around 600 Euro. Read in our review whether the K50IN is convincing and how it turns out in the individual disciplines. 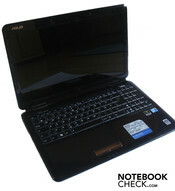 Asus sees its new K-series as a low priced introduction to the world of stylish entertainment notebooks. At the price of 430 Euro you can already get the K50IJ-SX006L, which offers an Intel Pentium T4200, 3 GBytes of RAM, an Intel GMA 4500M and Linux as the operating system. 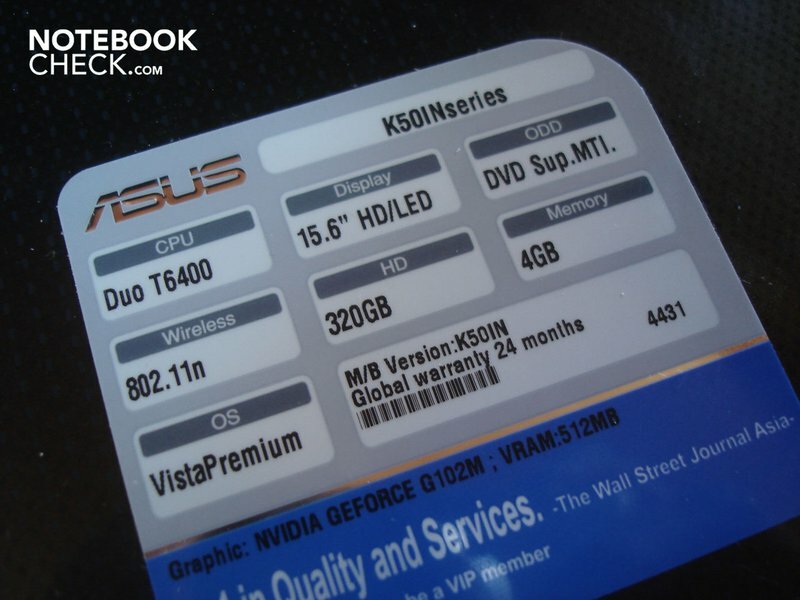 The K50IJ-SX009C for around 500 Euro contains the same components, except for only 2 GBytes of RAM, yet when it comes to operating system Windows Vista Home Premium comes into play. For AMD fans Asus offers the K50AB-SX011C, which at a price of 530 Euro is equipped with an Athlon 64 X2 QL-64, 3 GBytes of RAM and an ATI Mobility Radeon HD 4570. 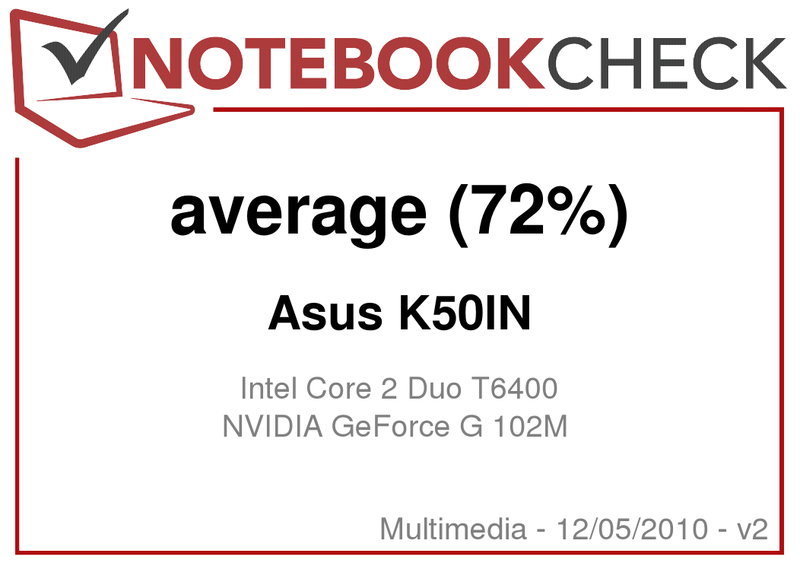 The K50IN-SX001C tested by us possesses the strongest CPU by comparison with a Core 2 Duo T6400 and the second strongest GPU of the series with an Nvidia Geforce G 102M. The 15.6-inch K50IN weighs a fair 2660 g at a size of 380 mm x 256 mm x 35 mm (width x depth x height). Visually the dark case looks unimposing from a distance, yet more closely one can recognise a fancy texture, which adorns the surfaces with fine dots and streaks. Moreover the colouring turns out differently depending on viewing angle. From one line of vision the case has more of an anthracite colour and the texture shimmers in a mixture of blue and grey, whereby above all the lines are accentuated. From another position the case seems rather brown, whereby above all the scores of the texture appear. A great effect. 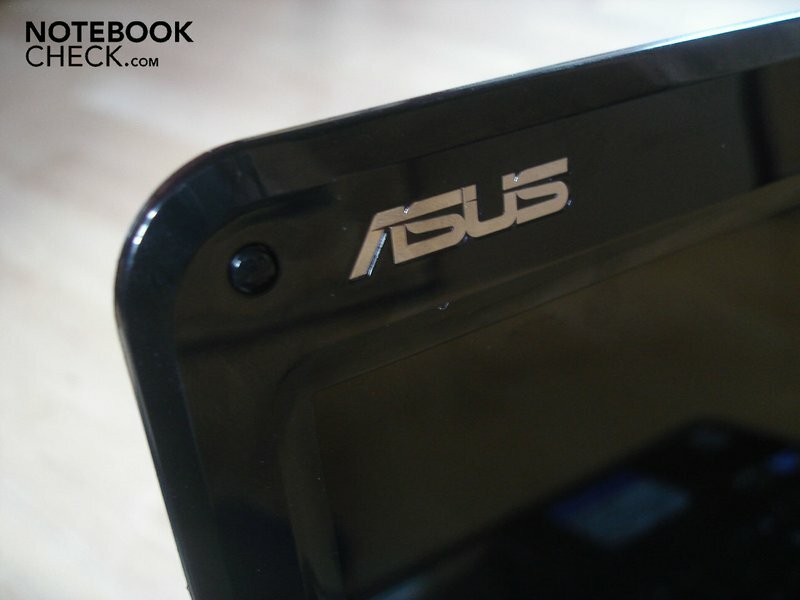 In this way the Asus creates the perfect mix of timeless and at the same time modern design. On first look the case seems rather high-grade, on closer inspection however it stands out that above all cheap-looking materials are employed. However because, as mentioned, this only stands out on second look and the design is very fancy, this blemish is barely disturbing. As the case is presented in the high-gloss design, it unsurprisingly magically attracts fingerprints, which however due to the surface texture are certainly watered down. This however is not so for the display borders, as this gets by without the texture and thus quickly becomes visibly dirty. In addition the stability of the K50IN is convincing. 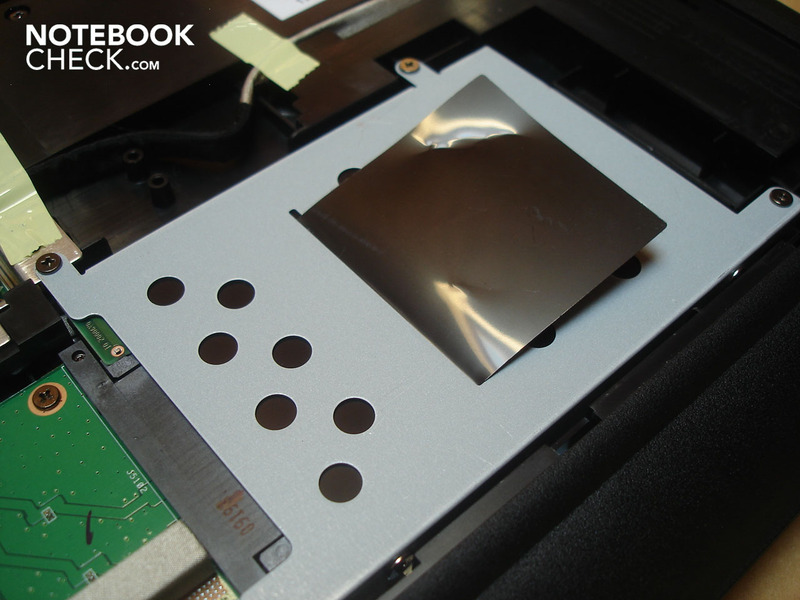 The display lid is very stable and it also provoked no image distortions from even strong pressure. 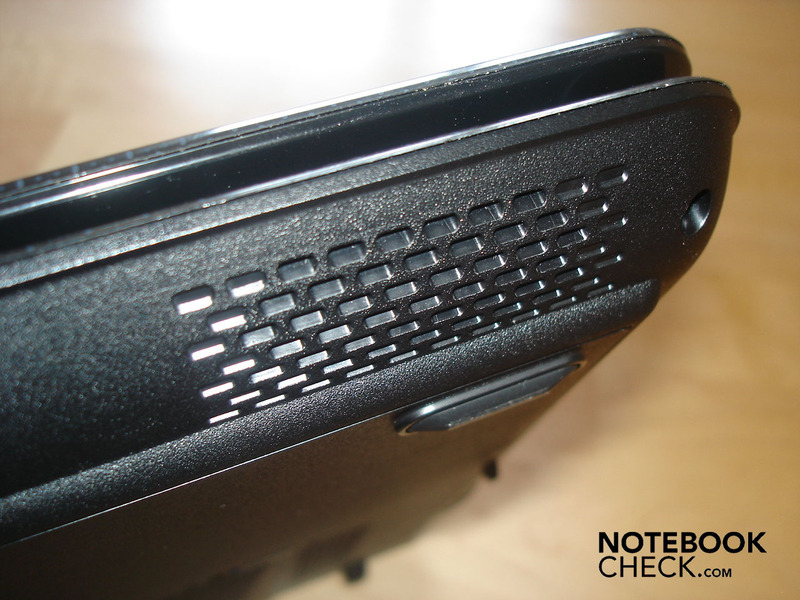 Also the upper- and undersides of the case are robust and only slightly gave way from unnaturally strong pressure. Further plus points are the hinges, which reliably hold down their job, however they made themselves noticeable partly with slight groaning. 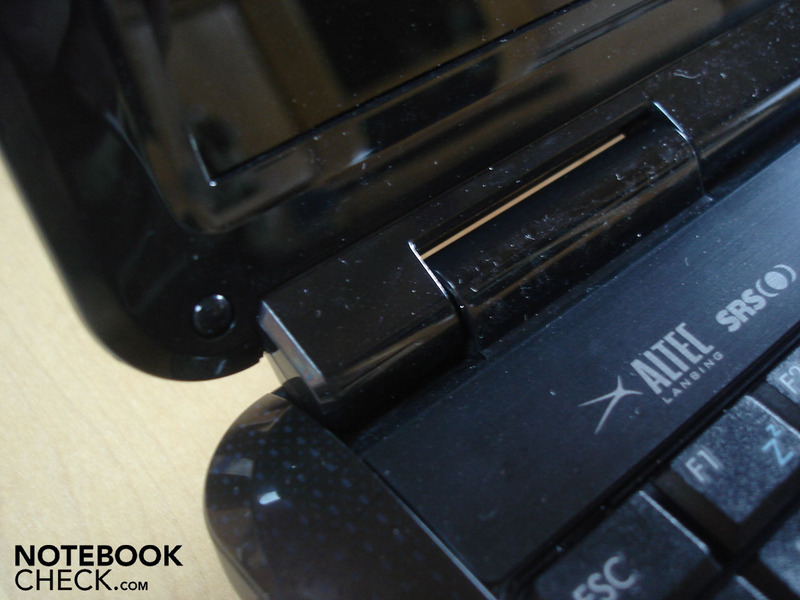 When it comes to the connections and the interface possibilities, Asus has restricted it to only the most necessary. 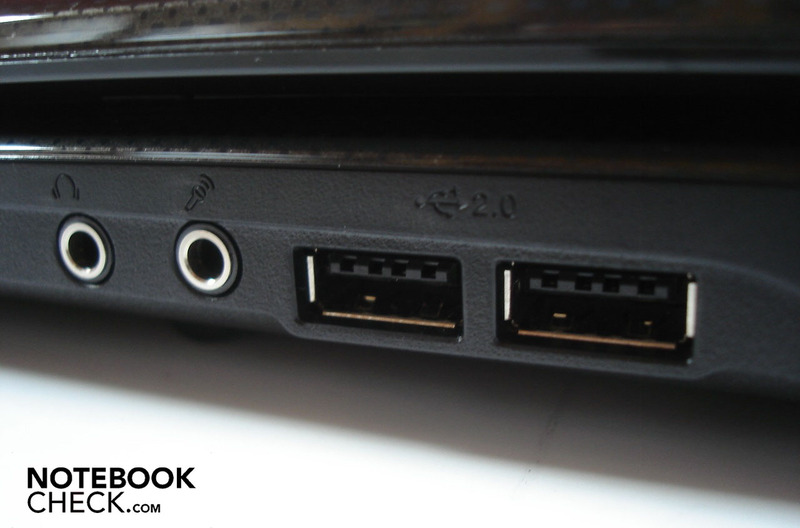 On the left side alongside the DVD burner there are two USB 2.0 ports. 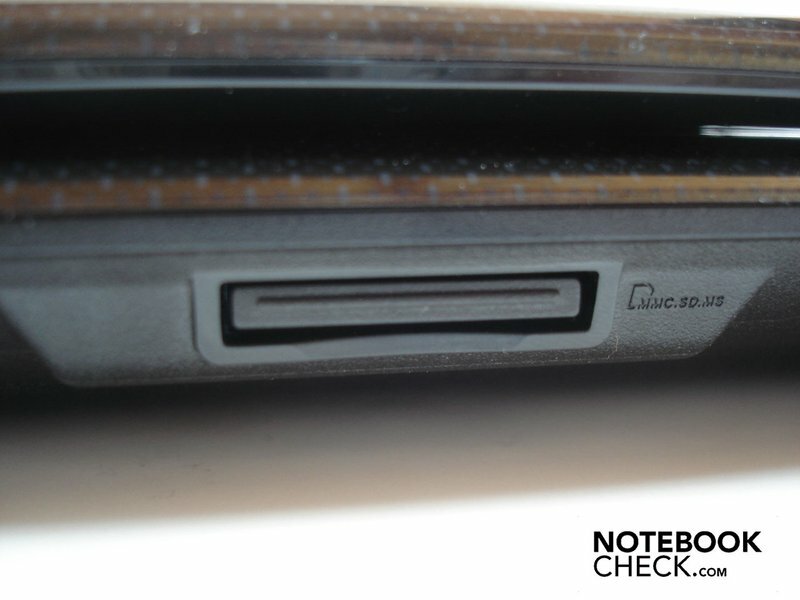 On the front side there's only a lone 3-in-1 cardreader, which handles the formats MMC, SD and MS. On the right side the majority of the connections are to be found. Starting with sound connections not labelled by colour (microphone input, headphone output), followed by in turn two USB 2.0 ports. Next to this there's a VGA output and a RJ45 Gigabit Lan port. The power jack concludes the connections. On the rear no further connections are to be found, apart from two Kensington Locks. 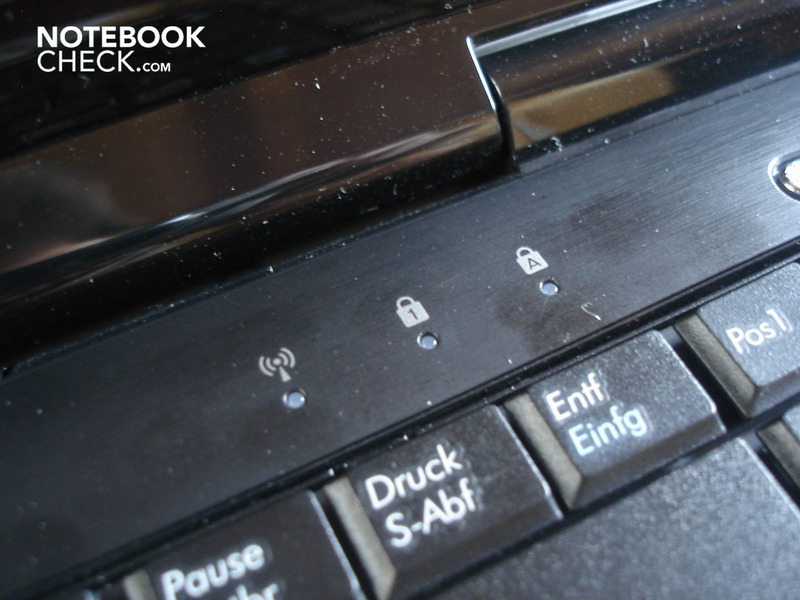 Wireless connections are finally made by the integrated WLAN (802.11 a/b/g/n). 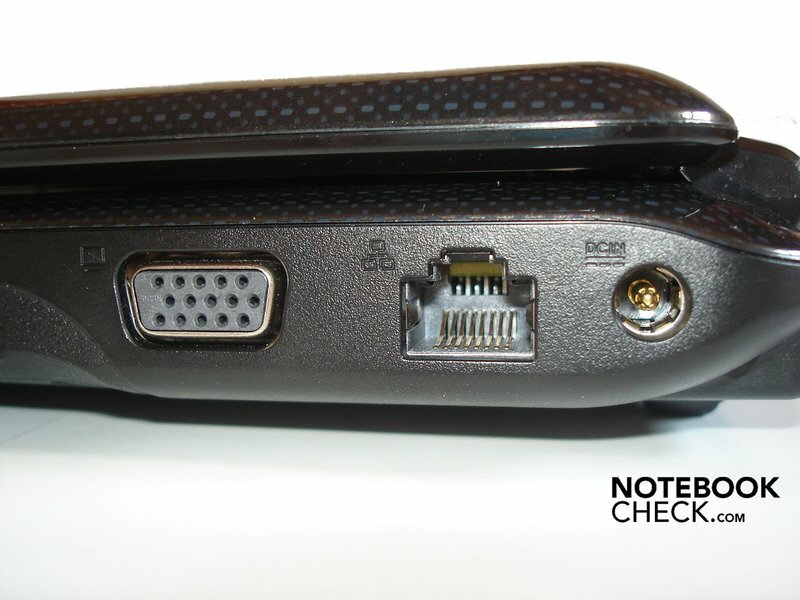 Otherwise there is also a microphone and a 1.3 Megapixel webcam integrated. On the whole the positioning of the connections has convinced us. However when it comes to the variety of connections, we feel some wishes are left unfulfilled. Thus we would have liked the card reader to have supported a few more formats. Furthermore we have above all painfully missed an HDMI port, as the image quality for external monitors via the VGA output is rather lukewarm. The keyboard (88 keys) has for the most part pleased us, as it possesses a well defined pressure point and the keys are all of a pleasant size. Regarding layout there is barely any deviance from the norm. 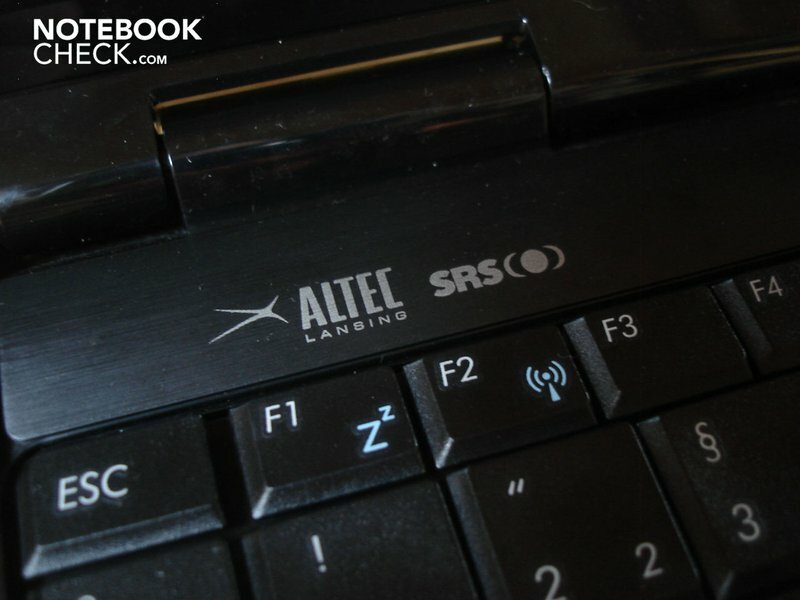 Asus has positioned the Fn key to the right of the left ctrl key. It's only the fact that not only the paste function but also the delete function are together on one key has disturbed us somewhat. However, what barely disturbed us are the somewhat narrow arrow- and numberpad keys. The keyboard indeed slightly gives way above all in the centre, which due to the good pressure point barely has any effect. Only under forceful pressure can the keyboard strongly give way. 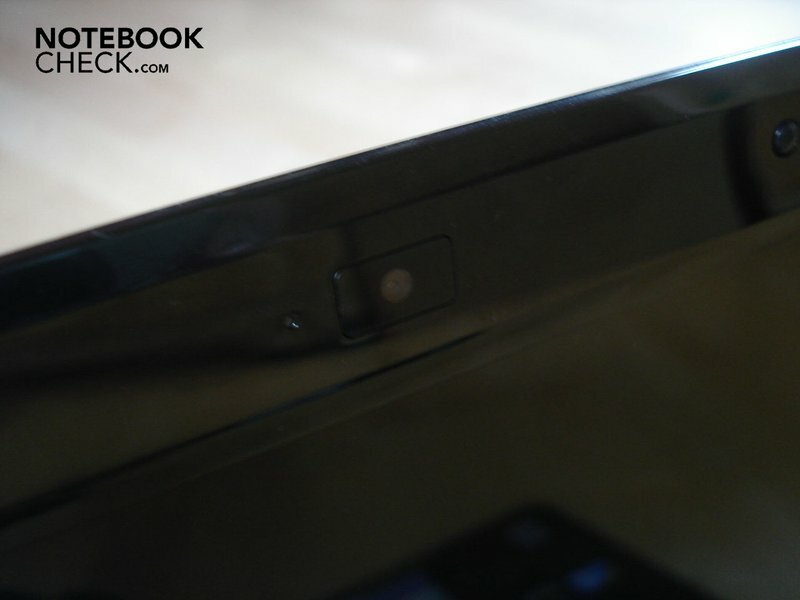 The touchpad gives a little more cause for criticism. It is presented in the colour of the case, slightly lowered, and possesses many small indentations which should really provide better navigation and feedback. However the touchpad is really unpleasant in use due to the indentations, as the fingers constantly abut against their edging and thus are unnecessarily thwarted. 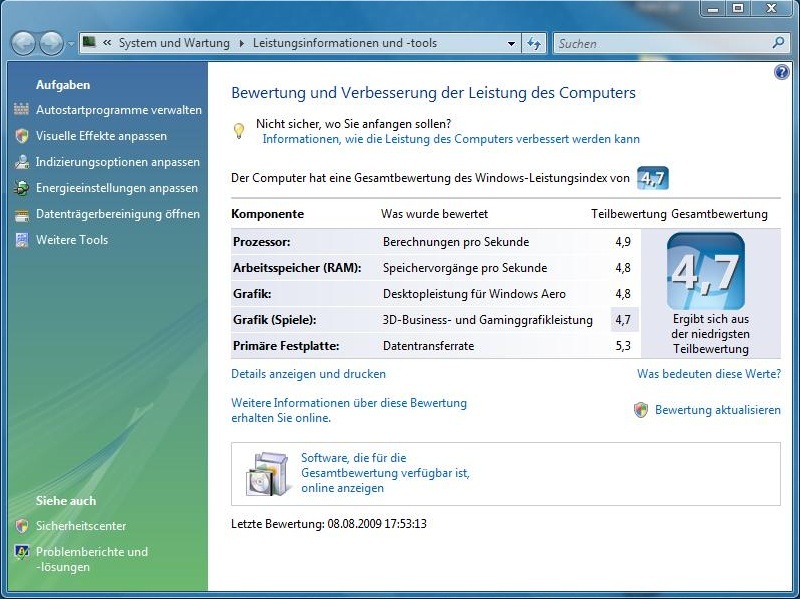 Via software various gestures can be customised to fit your own particular preferences, whereby they are for the most part reliably recognised. 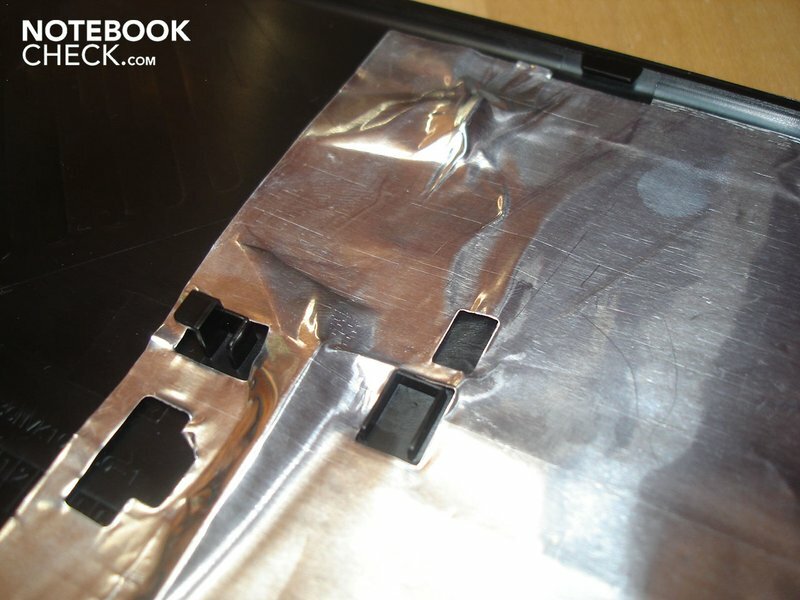 Incidentally the touchpad cannot be deactivated. 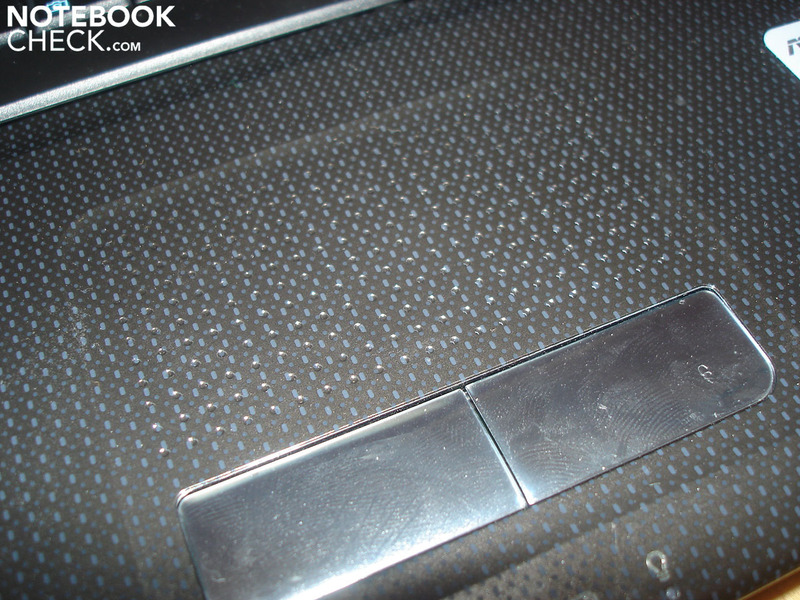 Both of the silver-sparkling mouse keys are situated underneath the touchpad. However, their pressure point isn't really convincing, as it is depending on activation point too spongy, too hard or too soft. 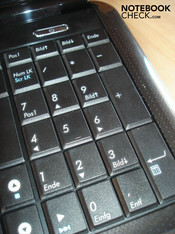 Apart from the power key the K50IN possesses no kind of extra keys. When it comes to display Asus employs a 15.6-inch HD panel with a resolution of 1366 x 768 pixels. For us, the display has left behind a streaky impression. On the positive side there's a good illumination at an average of 255.6 cd/m², whereby the maximum brightness is at 273 cd/m². The display doesn't have the LED background illumination to lastly thank for this factor, which makes for a convincingly high brightness. Furthermore the good illumination of 84% shouldn't hide. On the negative side there is, however, a very high black level of 1.85 cd/m² and a lukewarm contrast of137:1. Furthermore the viewing angles, in particular in the vertical field, aren't very convincing. Looked at subjectively, the picture appeared strong and bright in terms of colour, the low black level and the low image stability however disturbed particularly in dark scenes in games and films respectively. As the display dons a silvering, it is moreover theoretically barely suited for outdoor use. Practically outdoor use is possible with reservations due to the high illumination (which barely dwindles running from the battery). Nevertheless operation outside of enclosed spaces is of course not as pleasant as with a non-reflecting display, as disturbing reflections have to be dealt with. 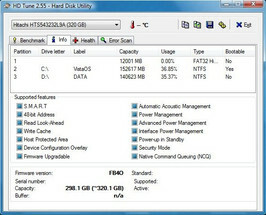 Via Asus Splendid Software the image can furthermore be adjusted to suit your individual needs with different modes such as "Vivid" or "Soft Mode". 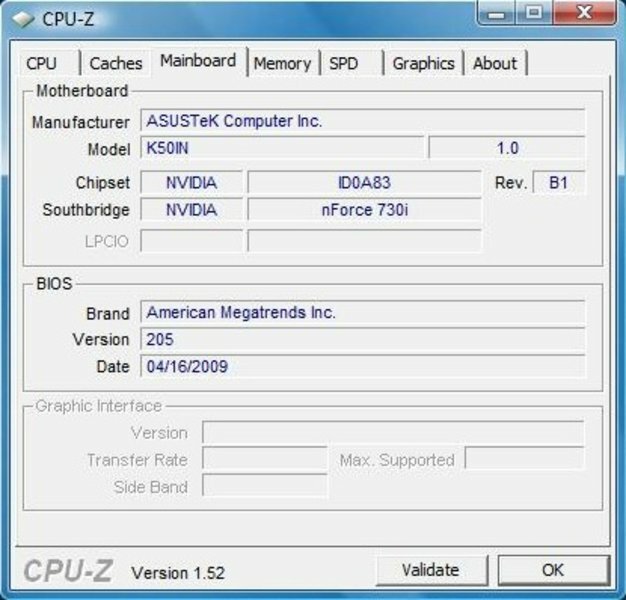 Regarding CPU Asus has gone for a model of the middle class and indeed an Intel Core 2 Duo T6400 at 2.00 GHz, with 2 MByte L2 Cache and 800 MHz FSB. 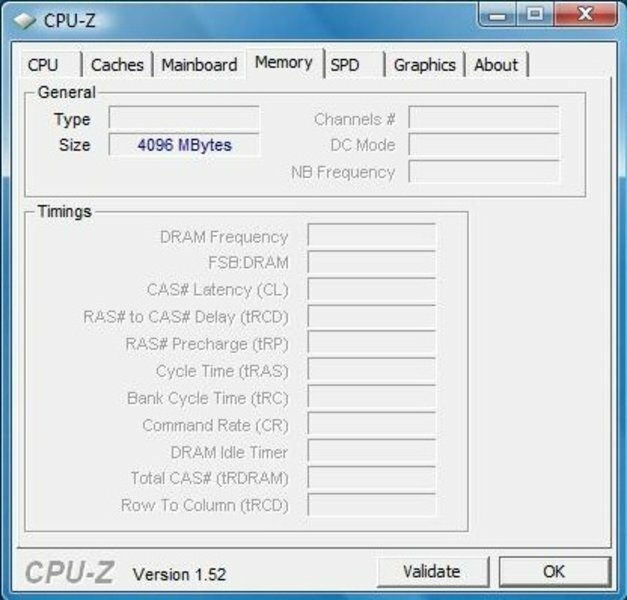 In this four gigabytes of DDR2-800 main memory are available (2 x 2 GByte, maximum 4 GByte), of which however only around three gigabytes are available due to the 32bit operating system. 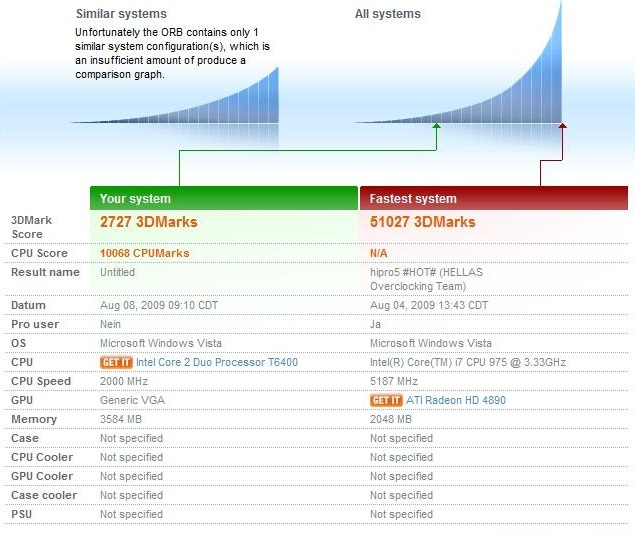 On the CPU-heavy synthetic application benchmarks the K50IN achieved fair results. 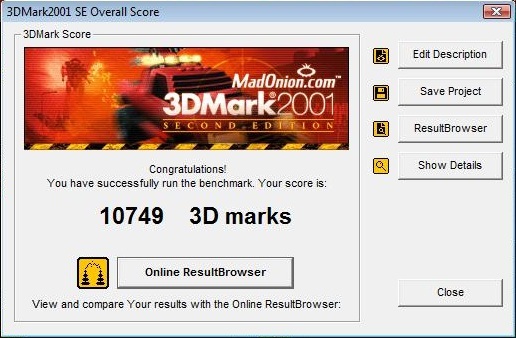 Thus Cinebench R10 showed 2082 points on single-core rendering, on multi-core rendering 3898 points and 2809 points on the Open-Gl benchmark. In PCMark Vantage the K50IN emerged with 3119 points overall. In order to make a comparison to competing products, we have decided to go with the (recently reviewed) HawkForce Mobile.Force M13.S1, as this possesses the same CPU. 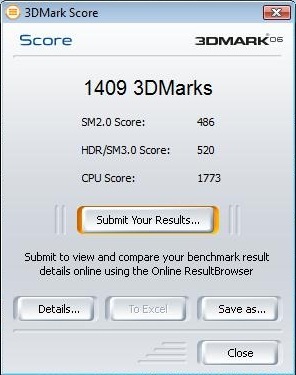 The Hawkforce reached 2154 (single-core) and 4064 (multi-core) in Cinebench which is somewhat higher than but on the whole similar to the results of the K50IN. 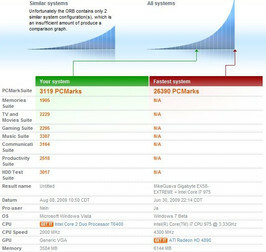 On PCMark Vantage however the K50IN is slightly ahead with 3119 points compared to the HawkForce with 3053 points. 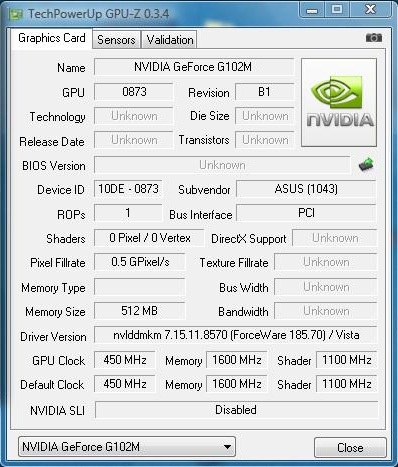 Regarding graphics card the Asus K50IN dons an on-board solution from Nvidia, namely the relatively new Geforce G 102M. 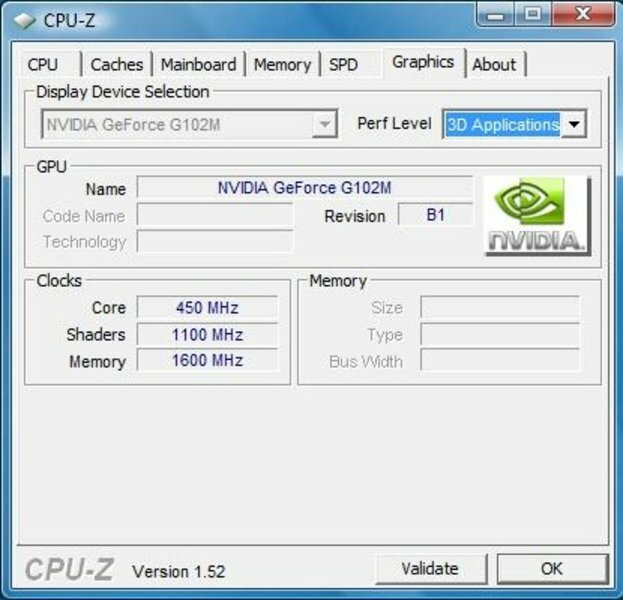 The G 102M is a graphics card of the lower middle class and possesses 512 MByte DDR2 VRAM. Thereby it's about dedicated graphics memory, which means the graphics card doesn't allow any allotment of main memory like other on-board cards. However this graphics card is slow than dedicated graphics cards with GDDR chips, as here it's here about simple main memory chips. This is also reflected in the benchmarks, as the performance is indeed above comparable on-board cards, yet far below the results of dedicated graphics solutions. Thus the K50IN reaches 4360 points in 3DMark 03, whilst the widespread Intel GMA 4500MHD (which also finds use in the Hawkforce) only reaches 2469 points. 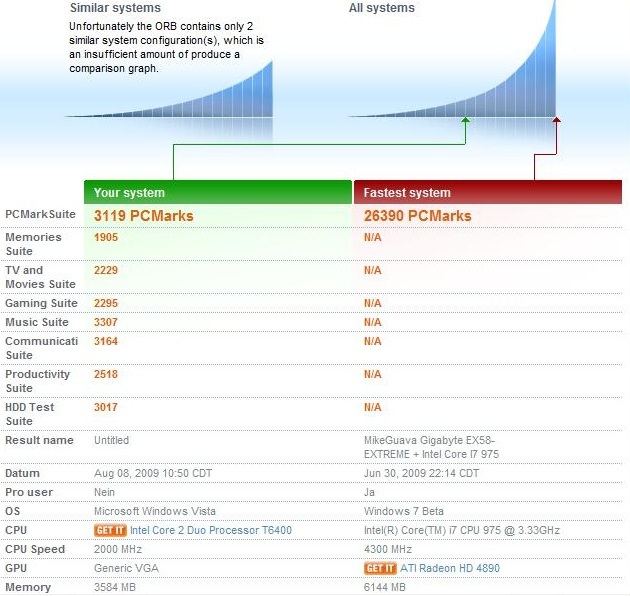 In 3DMark 05 the K50IN reaches 2727 points, whilst the Hawkforce is basically slower with 1273 points. 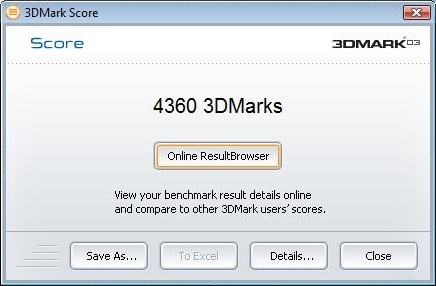 The K50IN bettered this score even in 3DMark06, where it achieved 1409 points. 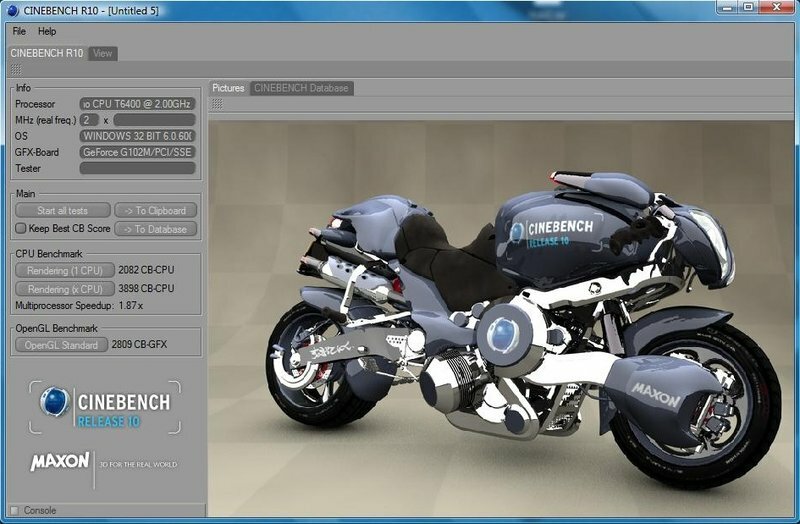 On the technical side the Direct X10 capable G 102M has a 450 MHz core-, 1100 MHz shader- and 1600 MHz memory speed. Via PureVideo HD technology (VP3) the G 102M can in addition decode high-res video material and thus can disburden the CPU with its work. 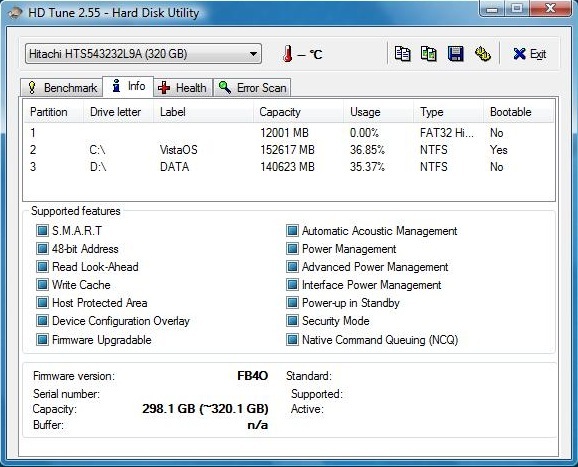 As a mass storage device a 320 GByte hard disk from Hitachi/LG at 5400 rpm serves. Its benchmarks have been obtained from the tool HD Tune. Thus the transfer rates were between a minimum of 27.1 MB/s and a maximum of 65.9 MB/s, whereby the average was at the lukewarm but completely adequate 47.4 MB/s. The access time was average at 18.0 ms, also the transfer rate was alright at 100.6 MB/s. Whoever would rather burn data on DVD, this can be done via the integrated DVD burner. 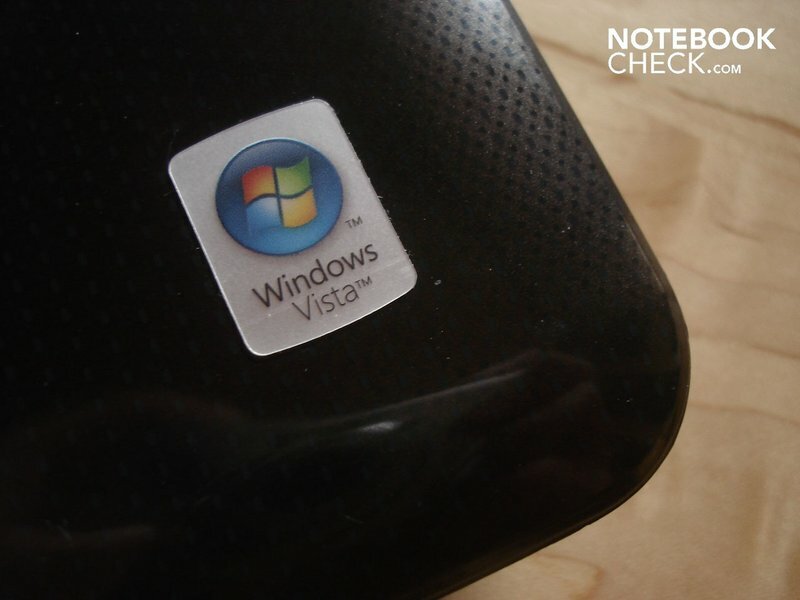 For the sake of completeness the Vista performance index is mentioned at this point. 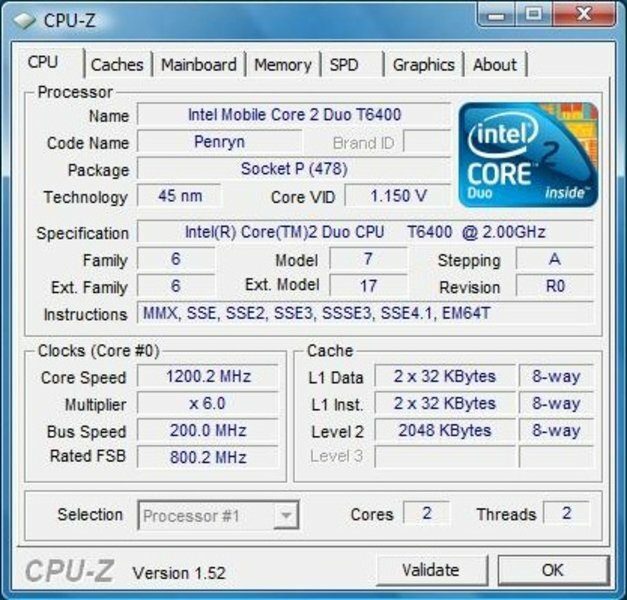 Here the K50IN reached a score of 4.9 points for the CPU, 4.8 points for the main memory and graphics, 4.7 points for the gaming graphics and 5.3 points for the hard disk. With the tool DPC Latency Checker we even checked the latency on Windows. It amounted to a maximum of around 1000 µs, which is a run-of-the-mill value. 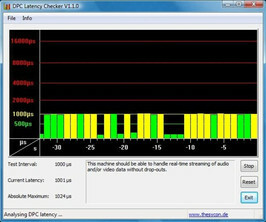 Thus when connecting to external devices like soundcards it should rarely lead to problems. Overall the application performance for an all-round notebook of this price class is good and completely sufficient for daily use. 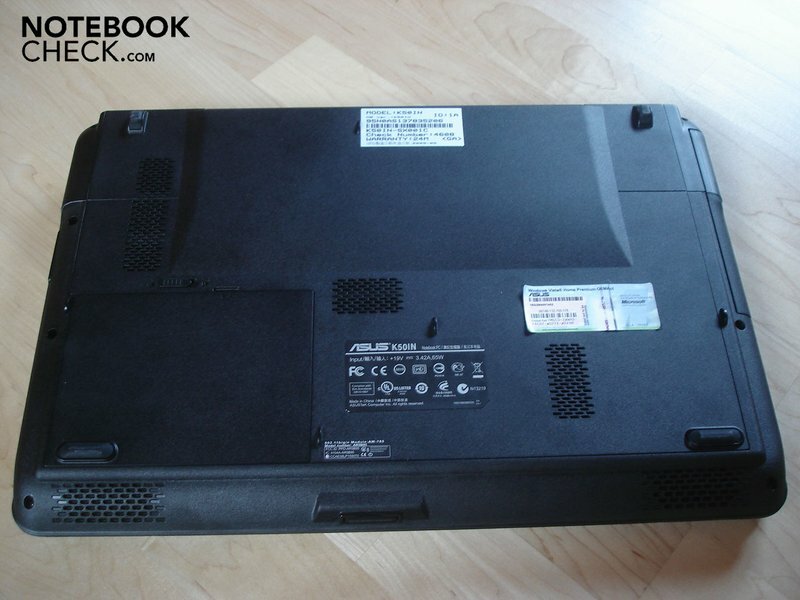 However we had to purge the system of various unnecessary programs and tools beforehand, which is usual for recent Asus systems. In delivery status the system utilisation constantly hit 50 percent in idle mode, the boot process was unnaturally long and Windows generally reacted sluggishly. In order to be able to assess the gaming performance, for comparison only we have called in on the one hand the theoretically just as strong, integrated Geforce 9400M (G) and on the other hand the on-board card popular with manufacturers, the Intel GMA 4500MHD. Here it is shown that the G 102M is thoroughly powerful enough in order to be able to present older DirectX 9 games fluently in high details. Thus CS Source ran in the resolution 1024 x 768 and with high details with an average of a very good 79.1 fps. An Intel GMA 4500MHD, like that which is deployed in the Hawkforce, only achieves half of this with only 41 fps. The G 102M was somewhat slow, yet still fast enough for the Lost Cost Demo of Half Life 2. 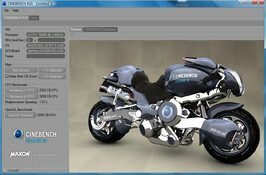 This is proven by fluent 60.7 fps in the resolution 1024 x 768 and with high details. 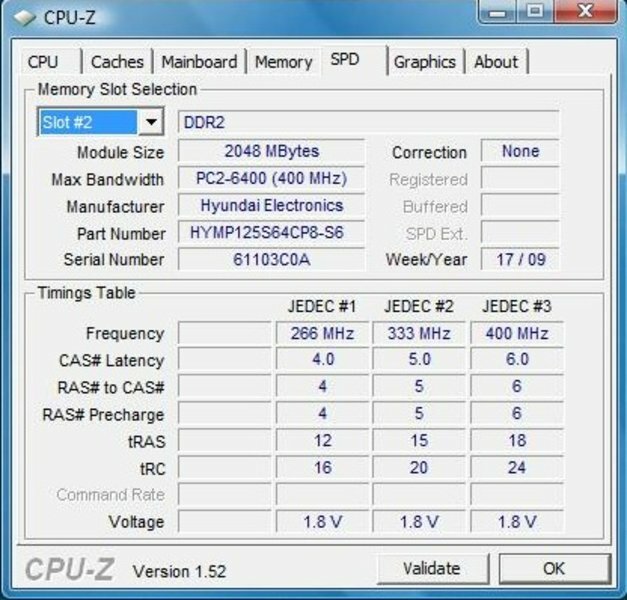 A 4500MHD is again fundamentally slower with an average of 36 fps. In newer or hardware-extreme games like Crysis, however, the tide is turned, as here the G 102M, like all other integrated graphics solutions, is too weak for higher details. 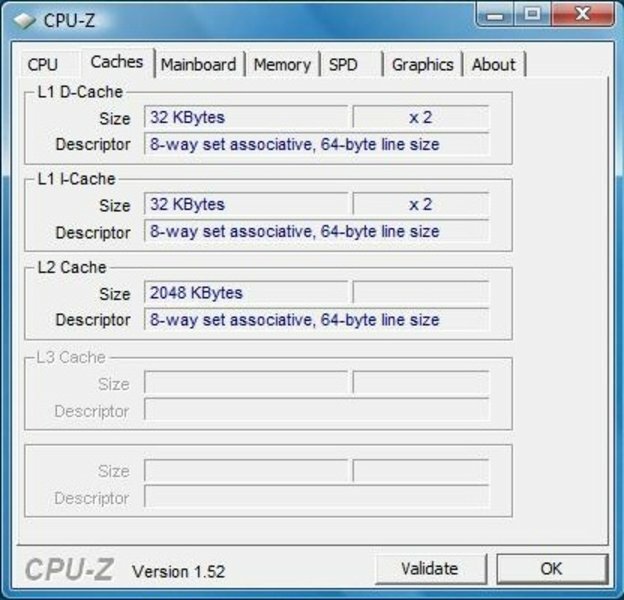 In the CPU run-through the K50IN only reached an unplayable 5 fps at high details, at medium details it reached still a meager 11 fps, whereas Crysis ran reasonably fluently at minimum details with an average of 25 fps. A G 9400M (G) here reaches a roughly fluent 31 fps. In the GPU run-through it was a similar picture. At high details Crysis ran very poorly at 6 fps, at medium details it was still unplayable at 12 fps. Only at minimum details was a reasonably fluent gaming experience possible at 28 fps. 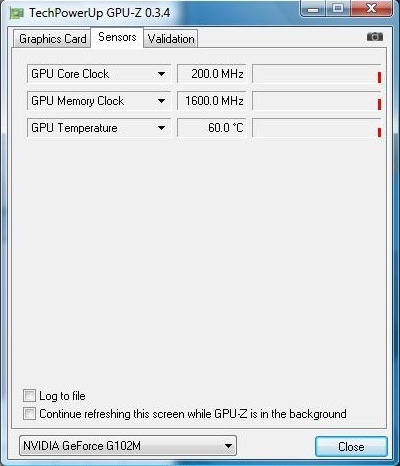 Here the G 9400M (G) accomplishes somewhat more with an average of 31 fps. All tests took place in the resolution 1024 x 768. Also the results with our DirectX 10 titles in series didn't turn out amazingly. Call of Juarez ran at the resolution 1024 x 768, 4 x AA and with high details at an average of 4 fps, which was completely unplayable. World in Conflict juddered along again just as slowly in the resolution 1024 x 768, 2 x AA/AF, and with high details. An average of 5 fps is truly no crowning achievement. Even at medium details, with an average of 8 fps, no fluent gameplay was contemplated. The cutting-edge Anno 1404 was indeed extremely slow in the resolution 1280 x 1024, 4 x AF at very high details with an average of 5 fps, yet in favour at the resolution 1024 x 768 with minimum details a fluently playable 48fps was within. Thus at least on Anno 1404 medium details are possible. A G 9400M (G) is cushy with 42 fps at minimum details, a GMA 4500MHD is clearly slower at 7 fps. A similar result on Left 4 Dead. Very high details were too much for the G 102M in the resolution 1024 x 768, which was reflected in the barely playable 21 fps. 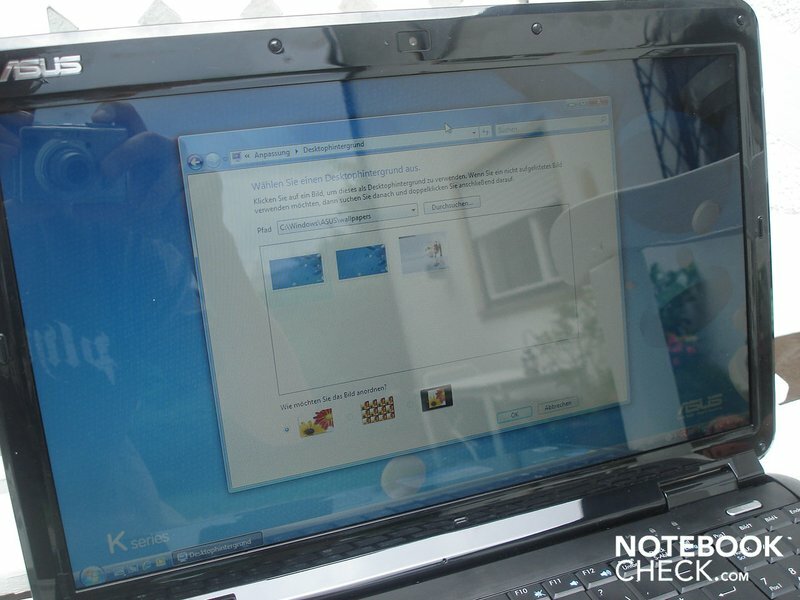 At minimum details and the resolution 640 x 480 the K50IN however achieved an average of 68 fps. Also here at medium details it ran fluently. A G 9400M (G) gets somewhere at minimum details with 64 fps, the 4500MHD reached a clearly lower refresh rate at 32 fps. All other tested games were then only constantly fluently playable in minimum details. Whilst high details, a resolution of 1280 x 1024 and 4 x AA expressed itself in a meager 10 fps, CoD 4 ran at medium details and a resolution of 1024 x 768 with an average of 27 fps, which was almost playable. At the resolution 800 x 600 and low details however the K50IN skids like butter over the display at 80 fps. The 9400M (G) reaches lower to equal results with 71 fps at low details and 27 fps at medium details. Fear 2 juddered along jauntily at the resolution 1280 x 1024, 4x AA with high details at an average of 7 fps. At the resolution 1024 x 768, 2 x AA with medium details it barely looks better at 13 fps. Only low details at the resolution 800 x 600 ran fluently with an average of 37 fps. A 9400M (G) runs slightly to clearly faster in Fear 2 with 44 fps in low details and 27 fps in medium details. 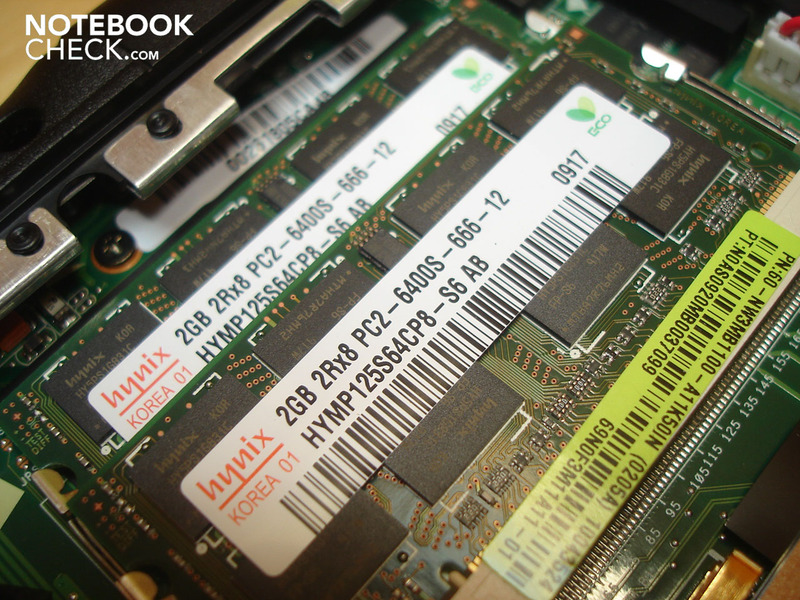 The 4500MHD brings up the rear with 25fps in low details and 11 fps in medium details. Finally Race Driver Grid came into play. here the K50IN emerged with a meager 7 fps at the resolution 1280 x 1024, 2 x MSAA with high details, whereas at the resolution 1024 x 768 with medium details at least 14 fps were possible. 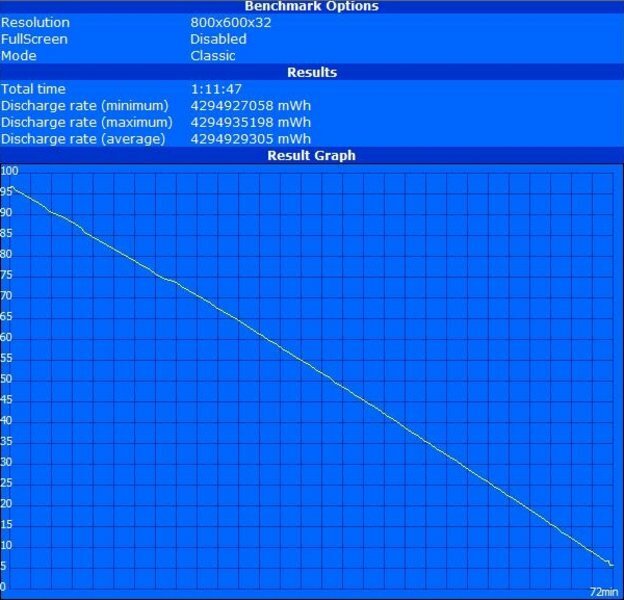 At the resolution 800 x 600 and at low details Grid ran fluently in contrast with an average of 44 fps. The 9400M (G) runs at low details with an average of 60 fps which is clearly quicker, but it is also too slow to produce fluent results with 17fps at medium details and 9 fps at high details. 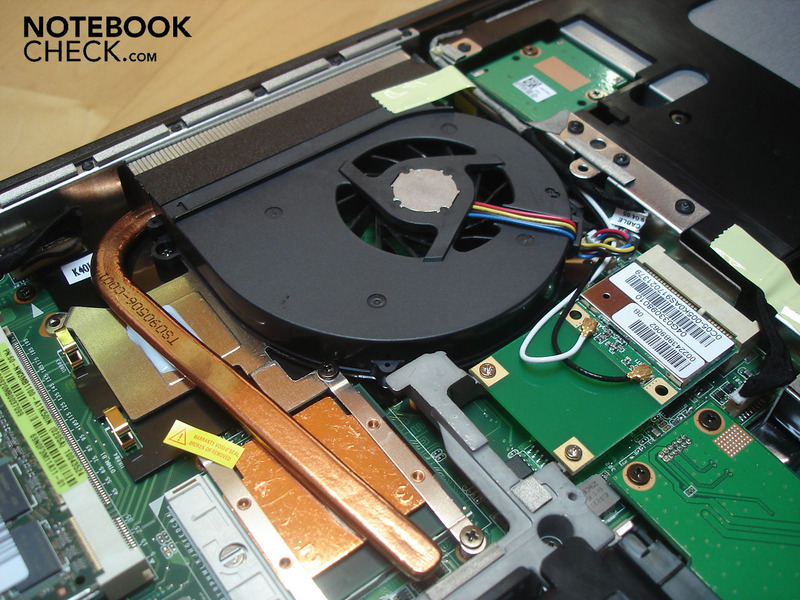 To sum it up several conclusions can be drawn about the gaming performance of the K50IN. On the one hand the G 102M is fundamentally quicker than other established on-board solutions on the market like the Intel GMA 4500MHD and thus belongs together with the just as strong Geforce 9400M (G) to the strongest on-board graphics cards. On the other hand the performance in comparison to low-priced dedicated graphics cards (like the ATI Mobility Radeon HD4570 clearly lunges . Thus older DirectX 9 titles like half Life 2 can be played thoroughly fluently in high details, however in new or hardware-intensive titles or games respectively with DirectX 10 support only medium and even only minimum details are possible for a fluent gaming experience. So whoever gambles from time to time and settles with older titles will have a sufficiently brisk companion in the K50IN. 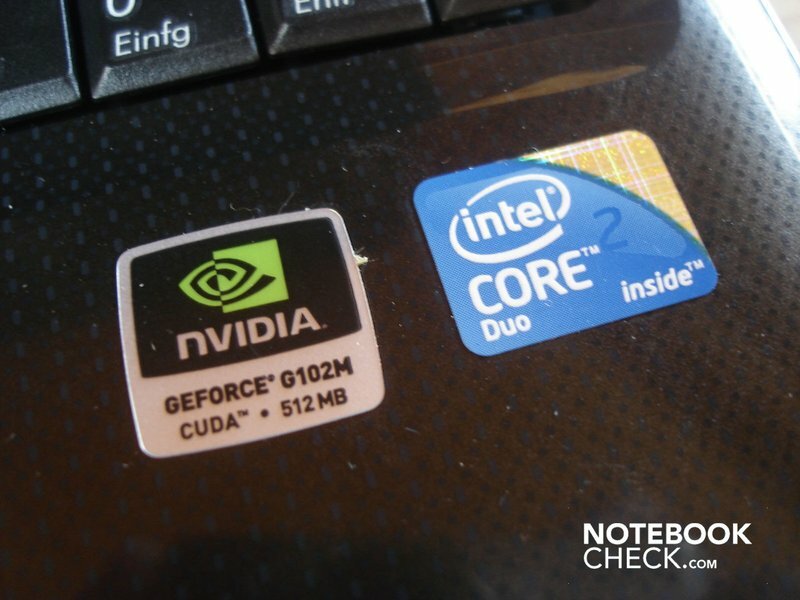 Keen gamblers that also like to play the newest titles should rather look around for a notebook with a stronger graphics card. When it comes to system noise we can on the whole give a positive summary. Thus the K50IN is above all in idle mode pleasantly quiet with a continuous 31.2 dB(A). 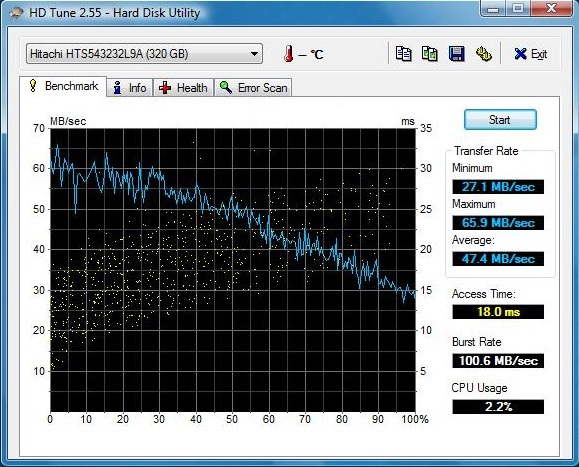 In addition the hard disk goes to work with an access quietly at 31.7 dB(A). The optical drive is indeed clearly louder during DVD playback at 37.4 dB(A), yet on our test film it luckily started running only from time to time and hence didn't turn out any more negatively. Under load the notebook is indeed present at 36.1 to 42.1 dB(A), yet this is still not loud or disturbing. It positively comes along that the fan noise is subjectively pleasant and doesn't make itself noticeable with unpleasant frequency. Asus promises a particularly low heat development in the area of the palm rests thanks to so-called "Ice-Cool" technology. And as a matter of fact: the palm rests remained pleasantly cool at all times with a maximum of 27.3 degrees Celsius. The remaining upper side indeed became slightly warm at 36.3 degrees Celsius, however it constantly remained in the green. As the fan outlet of the K50IN is situated centrally on the rear side of the case, it's above all this area that warms up, which is mainly made noticeable on the underside. Thus the notebook became warm in the rear area with up to 44.2 degrees Celsius. In normal use this circumstance occurs rarely, only when you put the K50IN on your lap can it become unpleasant after a certain amount of time. The measurements originated from a room temperature of 23 degrees Celsius. Let's move on to the components inside the case. 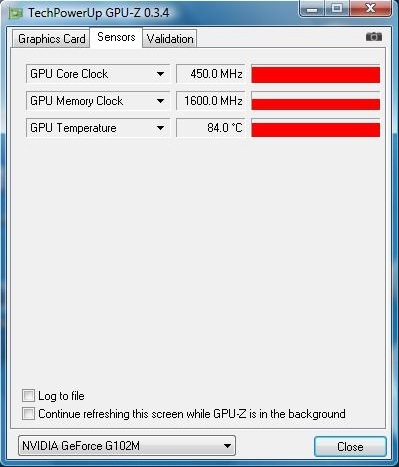 Not only the CPU at around 25 degrees Celsius remained completely uncritical but so did the graphics card at around 60 degrees Celsius. 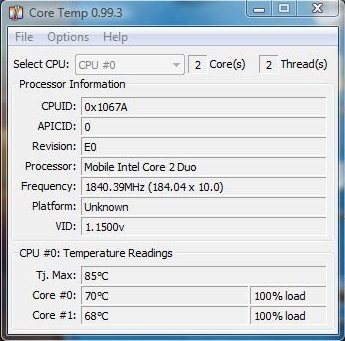 However, under load the temperature increased clearly, above all the CPU. 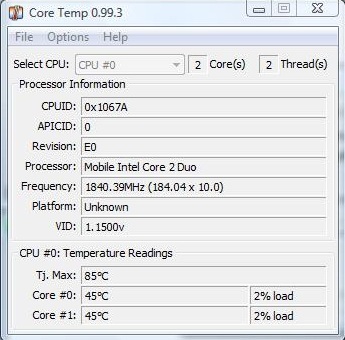 Thus the CPU became really hot at roughly 70 degrees Celsius and also the graphics card reached a fair temperature at 84 degrees Celsius. The small power pack is exposed as a right firebrand, which heated up under load up to 58.2 degrees Celsius. 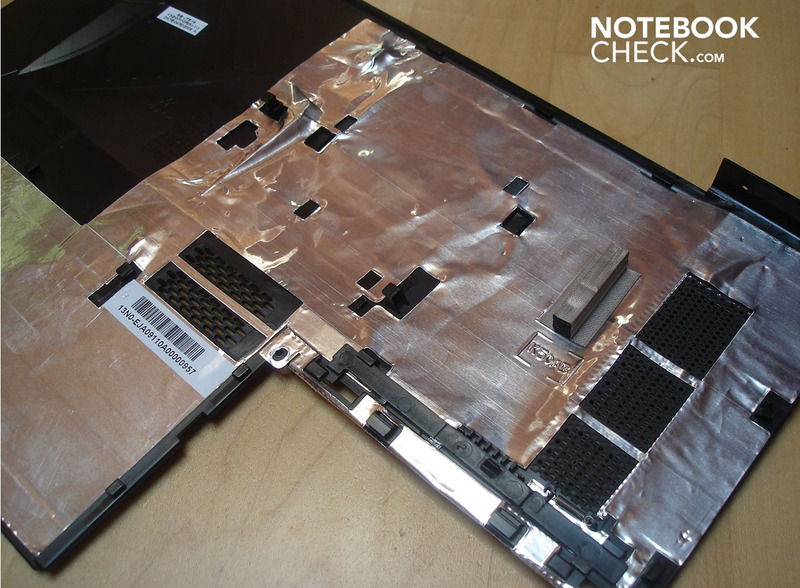 Even with the sound quality most notebooks don't come out unscathed, yet also here the K50IN knows how to positively surprise, at least only partially. Indeed the maximum volume of the two speakers hidden in the front and barely visible from outside could be thoroughly higher, however the tonal qualities don't need to hide. Thus all possible media, from music in games up to films is played back relatively clearly, precisely and well mixed. Through the integrated SRS support (Sound Retrieval System) a bit more volume can be tickled out of the two speakers with the corresponding and easy to use software. In this way with a simple mouse click you can switch between different scenarios like music, film and games (and various sub-categories). Corresponding changes are by all means acoustically noticeable, yet partly lead to a predominating and tinny sound. Unfortunately the bass is quite weak-chested and barely at hand. Here a case-integrated subwoofer would have worked wonders and perfected the otherwise good tonal experience. 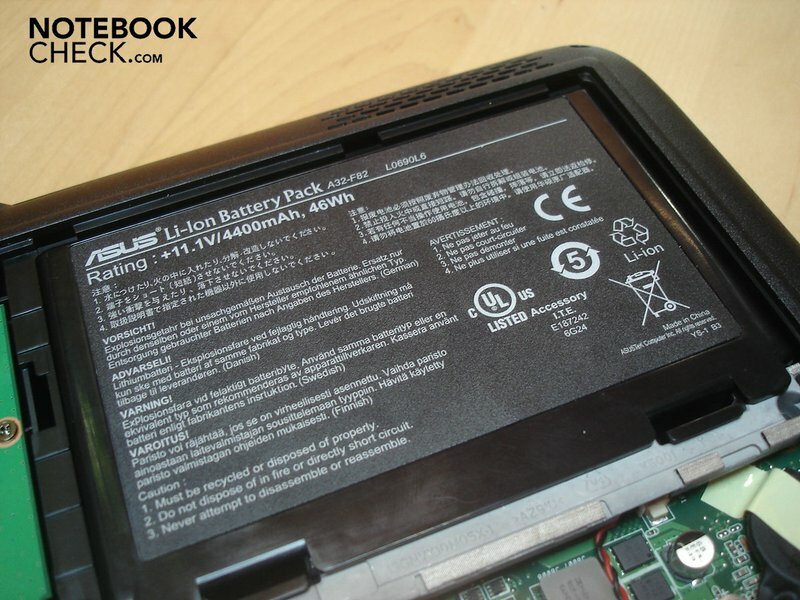 When it comes to the battery life of six cell batteries (46 WH) the verdict turns out differently according to application area. Thus the K50IN ran under full load and with maximum brightness only for a poor 72 minutes, so 1 hour and 12 minutes, until finally it ran out of juice (Classic Test of Battery Eater). As for DVD playback and maximum brightness the notebook held out for 110 minutes, so 1 hour and 10 minutes. For surfing over WLAN inclusive of maximum brightness and moderate energy-saving mechanisms we had to go back to the power point after a middle field 155 minutes, so 2 hours and 35 minutes. The maximum running time with minimum brightness and maximum energy saving mechanisms finally amounted up to a defensible 236 minutes, which corresponds to 3 hours and 56 minutes. 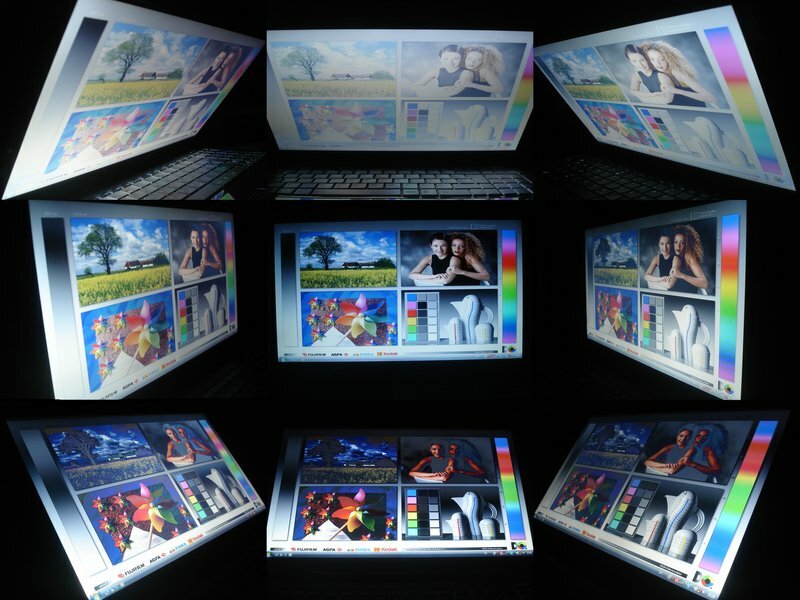 Thus at least a longer running time away from the power point is possible with lowered brightness and reasonably resource-saving applications. 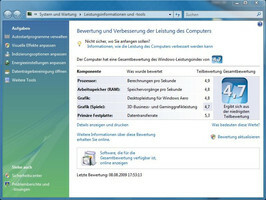 Asus has pre-installed a tool in the "Power 4 Gear", which adds to the three already available energy-saving profiles in Windows Vista. 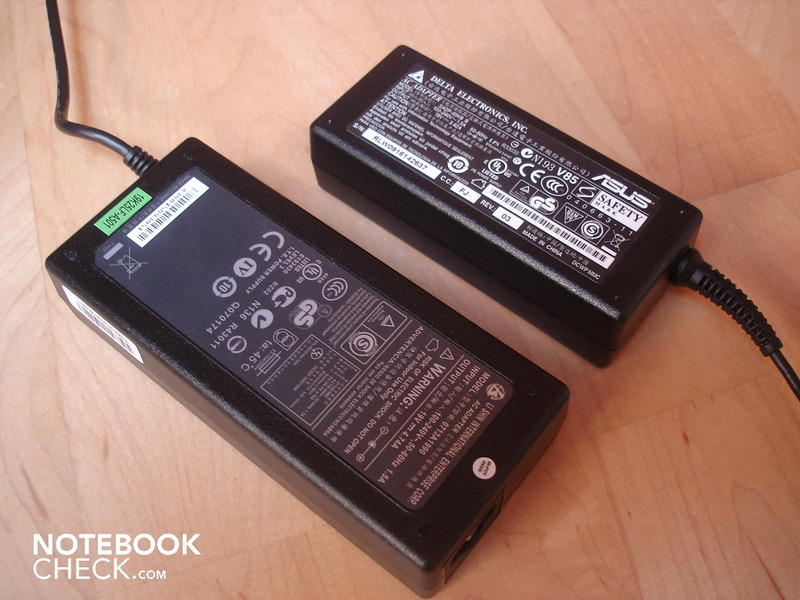 In our battery life tests we however resorted to better comparability in the Windows standard energy-saving profiles. 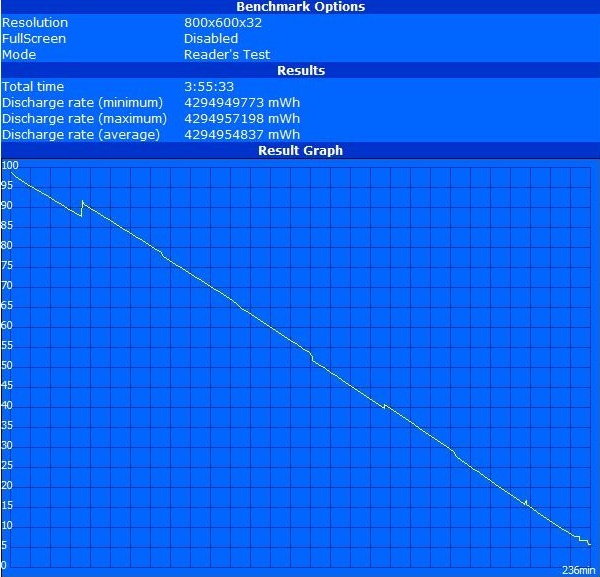 The energy consumption in idle mode amounted to between 11.5 and 19.6 Watt. Under full load the K50IN indulges itself with between 41.8 and 61.2 Watt. In standby mode then it's 0.4 Watt and finally 0.2 Watt in switched off condition. 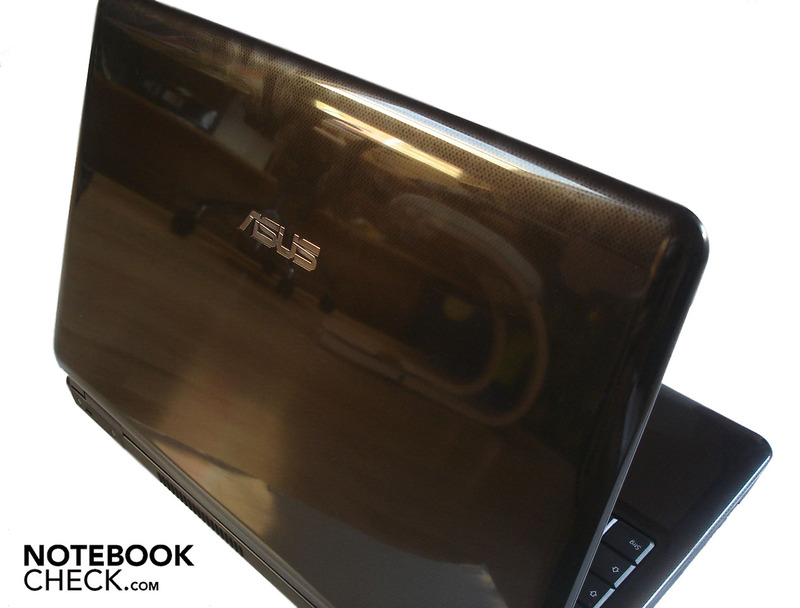 The fancy Asus K50IN leaves behind a thoroughly good impression overall. Thus the low temperature development as well as the low sound development is convincing. In addition on one hand the workmanship and on the other hand the keyboard barely gives cause for criticism. Also the sound knows how to please, with the exception of the docile bass. Furthermore the display and the battery life are in the middle field. As long as you purge the installation of all-too unnecessary programs, the working speed proves to be brisk. On games the verdict turns out differently according to requirements. 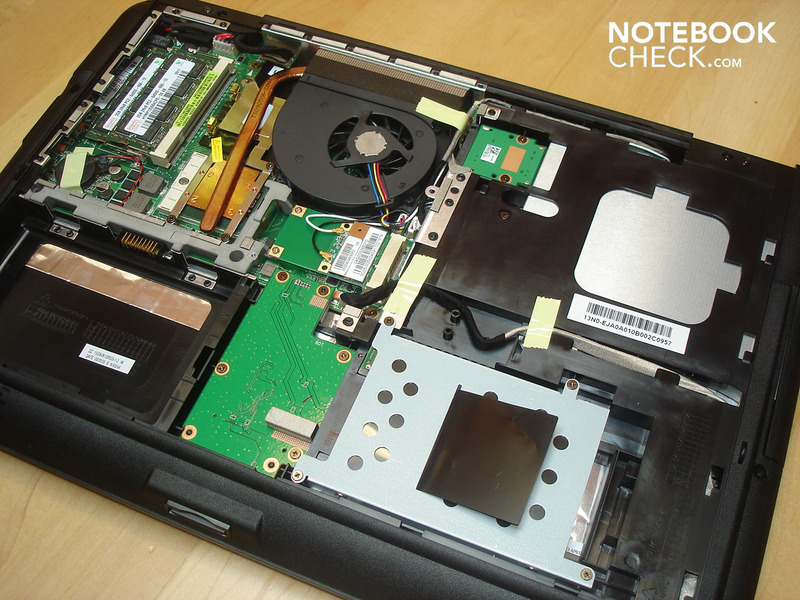 If you expect the newest titles of the K50IN, the notebook is overstrained and brings at most minimum details onto the display fluently. 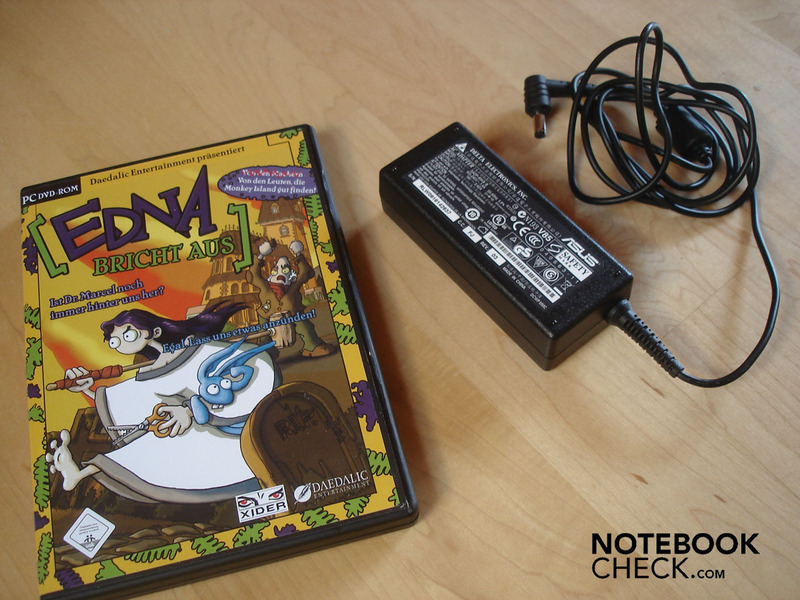 Older games can however thoroughly be fluently enjoyed at middle or even high details. 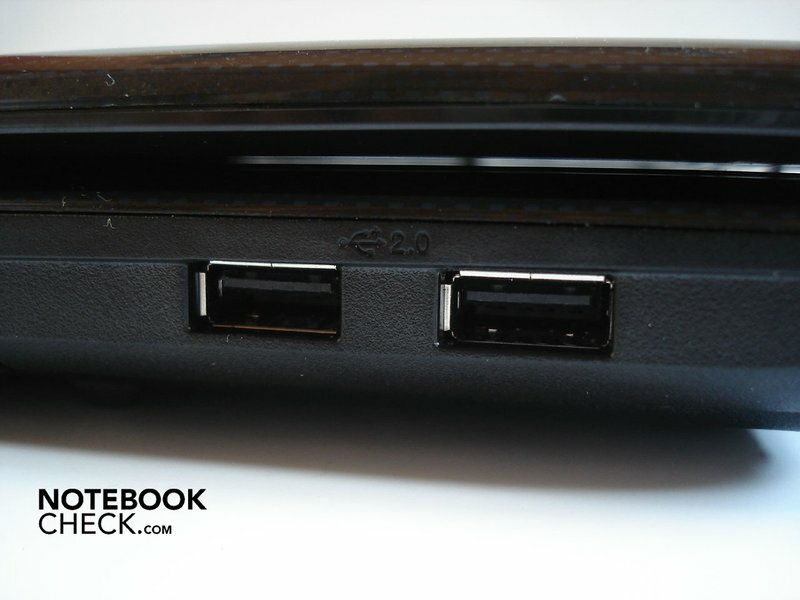 Solely the unpleasant touchpad and the lukewarm connectivity without HDMI output have disappointed us somewhat. Thus we can recommend the Asus K50IN warmly to all people who are looking for a successful all-round notebook for relatively little money which is suited for almost all possible application scenarios. The low noise and heat development respectively and the fancy design. 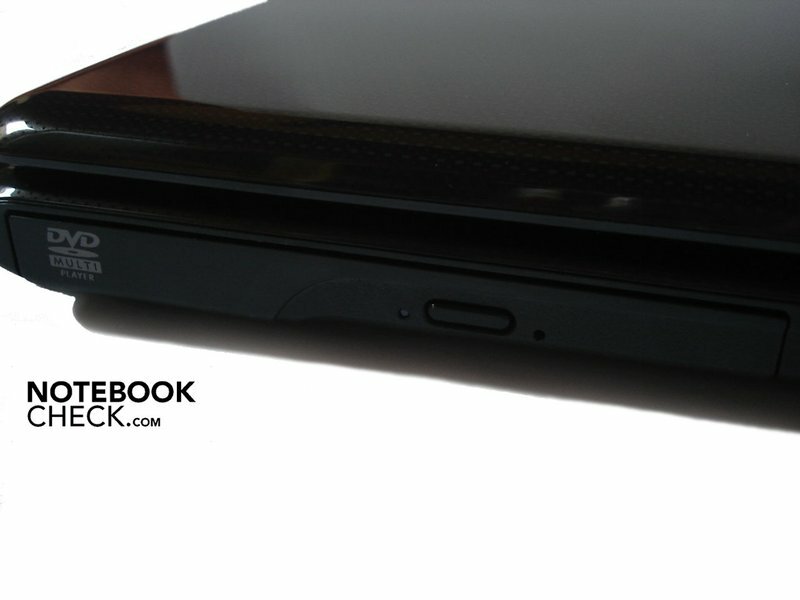 A more pleasant touchpad, a somewhat longer battery life and better performance from games. In addition a higher image stability of the display and more bass in the loudspeakers. Any questions? 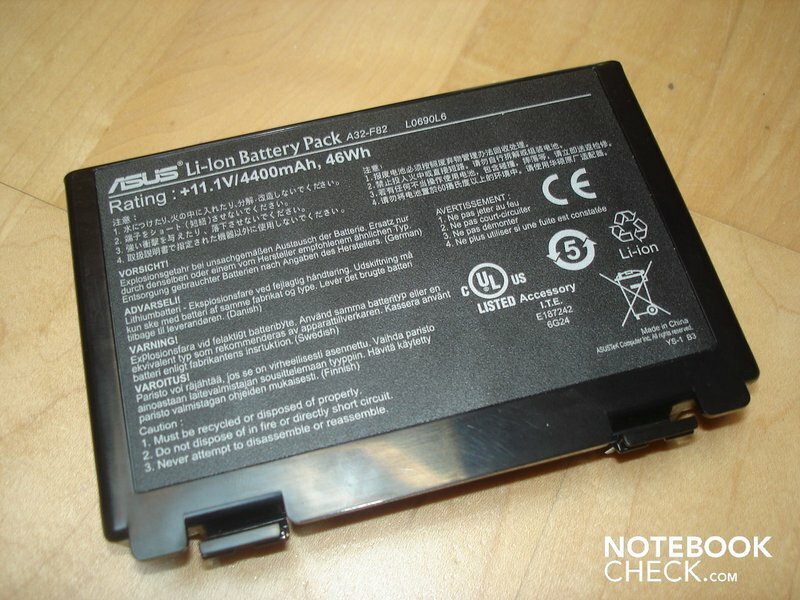 How much Asus has recently been cramming almost all of its notebooks with unnecessary software. 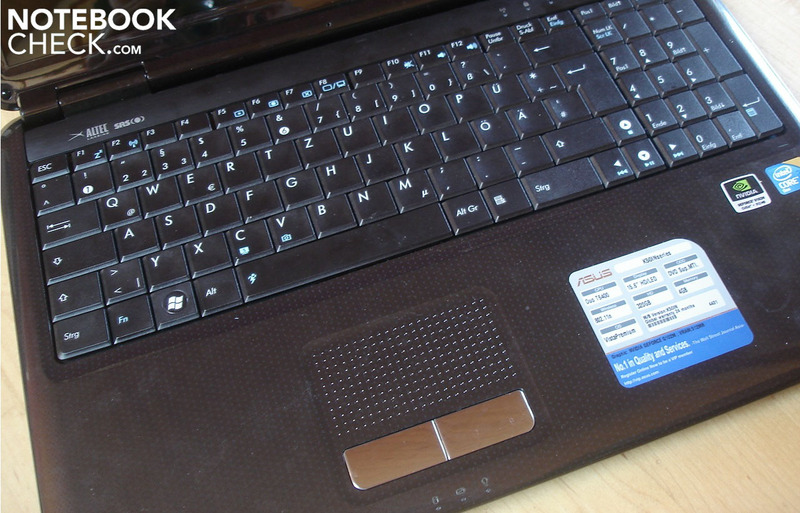 Other low priced multimedia- and all-round-notebooks like the HawkForce Mobile.Force M13.S1, the HP ProBook 4510s, the Acer Aspire 5536G, the HP Pavilion dv6 or the Acer Aspire 5739G.